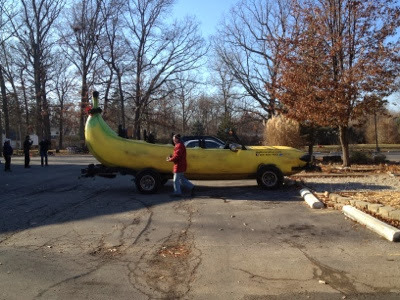 Just saw this banana car in the parking lot of the Alano Club on Maple. Pretty sweet. It has the PA plate "SPLIT."